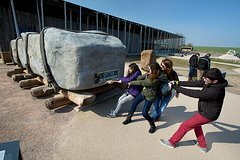 Add some fun and excitement to your London vacation with one or more of these exiting London travel adventures put together especially for you. With tours in every price range there is something for everyone. Be sure to book ahead to guarantee your spot and avoid being disappointed by sold-out activities and long lines during your vacation. We start with the best of the best — the ten most popular London tours with a 5-Star average rating. You simply can't go wrong with any of them. Click the links below to scroll straight to the category of your choice. Search the streets of London's Whitechapel to uncover the true story of history's most famous serial killer. 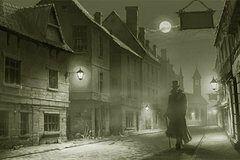 See the sights and learn the shocking fate of the Ripper's unfortunate victims, all the while let our experienced guide help you separate fact from fiction and guide you through one of London's most sinister stories. See one of the world's most intriguing cities through a different point of view, full of spooky visions and sinister apparitions. 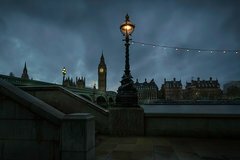 Search for ghosts and ghouls that creep through the night while your guide shares stories of London's haunted history. Listen to these bone-chilling tales as you meander down the dark alleys of central London, if you dare. 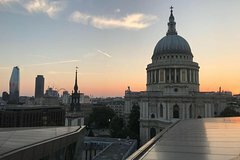 Your 2-hour walking tour ends at St Paul's Cathedral. 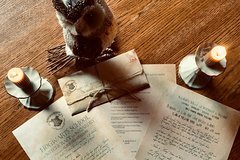 Keep your wand at the ready and 'disapparate' (teleport) into the wizarding world of Harry Potter. 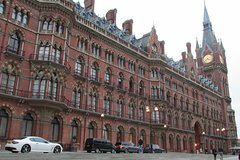 You'll see a side of London that most muggles miss during this 2.5-hour walking tour of filming sights made famous by the movie adaptation of J.K. Rowling’s much-loved masterpiece. The Leaky Cauldron, Platform 9 3/4 at King’s Cross, and Diagon Alley are all along your guided route. Forget the stress of trying to find a taxi while lugging around your bags. 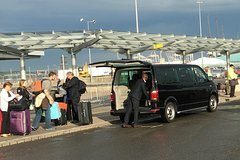 Instead, reserve a seat in this comfortable shared‐ride from Central London or Heathrow airport hotel in a fully air-conditioned and spacious Minivan or Minibus to Southhampton cruise terminal. Your transfer will be confirmed instantaneously, and you will be provided with a travel voucher to present to the representative or driver. Travel through 150+ years of history in just two-hours aboard this awesome London Underground and Tube Tour. 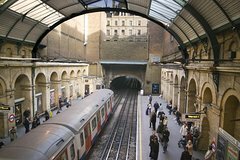 Starting at one of London’s earliest underground stations and finishing at one of the most futuristic, hear the captivating twists and turns of the Tube’s history on this fun and informative walking tour. Perfect for Tube and Train enthusiasts, this history tour will leave you looking at the Underground with a new appreciation and respect for the world's first subterannean railway! 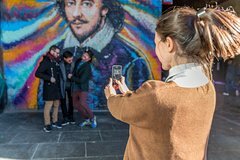 London Quirky Walking Tour is the perfect walking tour for both tourists and locals and it is suitable for all ages. 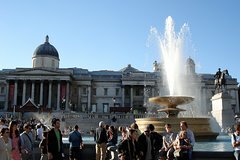 Starting at Covent Garden and finishing at Trafalgar Square, the route mixes the iconic with the obscure, and explores the hidden gems of a historic district. Our guides will take you on a journey through the history of the area from the medieval convent to the Georgian centre of scandal and debauchery. In short, throw away the stuffy history books as our guides unearth the hilarious and downright bizarre back-stories of some of London's most well-known landmarks. 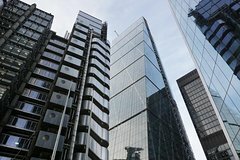 This award-winning tour uncovers the hidden stories of London's iconic skyline. Explore how the world's top architects merge the historic and the innovative in their race to the skies. Emerge yourself in the controversies of the architectural world, from questions of heritage to sustainability. In three and a half hours, cast your vote on the latest developments which divided the critics and view buildings by the influential Richard Rogers, Sir Norman Foster, Will Alsop and many more. 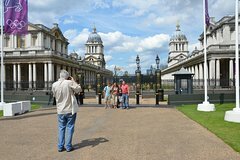 Enjoy a fully-guided walking tour of maritime Greenwich. 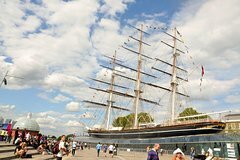 On your 6.5-hour walking tour you will visit the famous tea clipper Cutty Sark; the Greenwich Royal Observatory; the National Maritime Museum; the Old Royal Naval College, home of the Painted Hall; the recently-renovated Queen's House; the Greenwich Market; and end your tour with a traditional pub lunch by the River Thames. 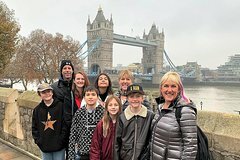 Your fun and educational walking tour is a great way to experience the history, culture and architecture of this unique area of London. 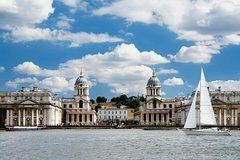 Enjoy a fun and educational half day walking tour of Greenwich. All the major venues are on the tour including: Royal Observatory, National Maritime Museum, Teaclipper Cutty Sark, Old Royal Naval College ( Painted Hall ) , the stunning Queen's House and Greenwich Market. Put on your favorite walking shoes and come along as your entertaining and knowledgeable guide lets you experience the real Greenwich. This tour is a small group tour with max of 6 pax. All admissions included. If you love movies and love London, then you’re sure to enjoy this 2-hour Movie Hot Spots Walking Tour. See where 'Bridget Jones' famously kissed the love of her life, visit the spots that have made famous cinema greats from Michael Caine to Daniel Craig, and prepare for a day trip to Gotham City. Follow in the footsteps of famous writers who frequented London pubs of the past. 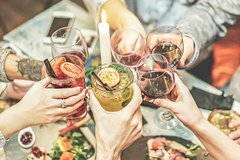 During this 2-hour historical walking tour, you'll discover fascinating tales while savoring London's favorite drink. 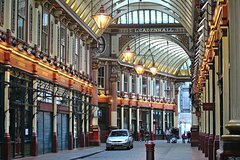 Visit some of London's oldest watering holes and pass by the city's renowned sites along the way. Top it off with an included half-pint of beer as you rub elbows with the locals. 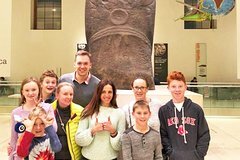 Join this 2.5-hour Small Group British Museum tour, designed especially for families with children, and discover one of the largest and most famous museums in the world dedicated to human history, art and culture! With our kid-friendly guide you will see the main highlights of the British Museum, such as the Egyptian and Greek sections, the Rosetta Stone, the Sutton Hoo treasure, the Viandola Tables, the Eligin Marbles, the Lewis Chessmen and many more findings and artefacts. You and your family will learn about the history of humankind in a fun and interacting way. Step into the magic of the Harry Potter tale and discover some of the most iconic film locations during this 2,5-hour private walking tour!Our guide, passionate about Harry Potter, will show you and your family the places where the movie was filmed and moreover you will discover London and it magic.Everyone will have fun playing themed games and trivia along the way and by the end of the tour you will feel like a Harry Potter character!Note: Since you will use public transport make sure you have your Oyster card or Travel card with you! Get up close and intimate with one of London's famous serial killers. 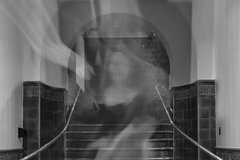 This soundwalk takes you to follow the horrific steps of Jack the ripper and his victims. Dare to hear the most scandalous secrets and riddles in East London. This is a test product. please do not book. This is a test product. please do not book. This is a test product. please do not book. Go on a quest around London as Theodgar, a powerful Wizard who chose to live among Humans and protect them. Follow the clues you'll receive in the app and fight Ozin, the sorcerer who wants to destroy Earth. Along the way, you will arrive at some of the most popular movie locations from the Harry Potter movies. Take your time to explore them, while also reading their story in the app.For playing the game, just follow the instructions you'll receive via e-mail after booking and then go to the starting point. We recommended you to play together with a maximum of 4 other people on a single phone.Start and pause whenever you want and feel free to explore at your own pace. If you are more competitive, you can of course hurry up and compete for a higher ranking in the leaderboard of the game. Explore night photography and learn to capture stunning night time photos by mastering some of the most creative elements of photography.Whether you are starting off, a hobbyist or an experienced photographer we will have superb photographic opportunities for all kinds of interests. Guided by a professional photographer in this immensely enjoyable 3-hour night tour we will capture a variety of impressive sight in the city, the reflections along the Thames and the city lights that make this renowned city irresistible.We will capture not only the great landmarks such as London Eye, St Pauls and Tower Bridge, but also the stream of car lights and the blurred passing of boats on the river Thames. Through demonstration and a personalised photography practice you will develop your own creative vision while receiving expert advice on shooting in low light and long exposures. In this private photoshoot I shall take you through to the most picturistic and beautiful locations in London, while I capture you with the fascinating views and character of this amazing city.I'll give you tips with poses to be the best of you in front of the camera, so it will be fun and an enjoyable experience!We will walk through the most iconic and hidden photographic spots in London - from St Paul’s Cathedral to Tower Bridge, and capture the fun of your photo experience in the city so that you have fabulous photos and remember the great time you had.This experience is great for individuals, a couple, group of friends or a family. Thought by a professional photographer, in this intensive course you will learn how to take real control of your camera and take stunning photos.We will explore the art of photography, how to operate your camera in manual mode, understand concepts like aperture, shutter speed, ISO, and learn how to combine all the different camera functions creatively to compose and shoot great photos.The course covers:Learn using your cameraUnderstand Exposure (Aperture, Shutter Speed, ISO)Advanced shooting modesAuto-Focus and Metering ModesDepth of Field (DOF)White BalanceLighting with SpeedlightLenses, and many more.We will try out different creative photography techniques, practice handling different camera modes, and most importantly do it in an inspiring, fun and and supportive environment. Come discover the must-see destination of London if you are someone who enjoys shopping, theatre, restaurants, bars, history and culture. 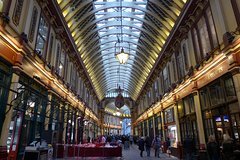 Our tour takes you on an exploration of Covent Garden’s rich heritage through the centuries, from orchard garden of Westminster Abbey to London’s first residential square to the fashionable, up-to-the-minute shopping and dining destination that it is today. The Music Legends Tour is your passport to visit some of the most famous rock landmarks in musical history. The tour will take you to locations in London made famous by The Beatles, The Rolling Stones, Led Zeppelin, Queen, David Bowie, Jimi Hendrix, Oasis, Marc Bolan and many more. Your guide Stephen Channell is a veteran of the music business spending 25 years working for Warner Music and the BBC. 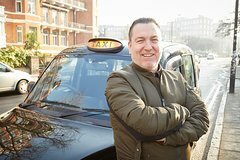 Now a qualified London Black Cab driver no one knows the streets and rock history of London like Stephen does. 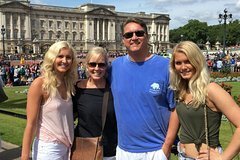 We are real people! and you won't be just a number! We love London​ and we wanna share what we know in a totally different way! 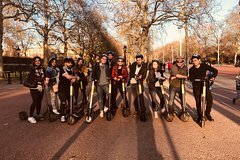 Unlike other tours, Electric scooter tour provides a great sense of freedom and conviviality, you will get the chance to see most of London monuments faster than any other transportation and yet at a medium pace! Beating traffic, going through Thames path, stopping at amazing spots for great photo-shoots, listening to narrations about icons and historic buildings. 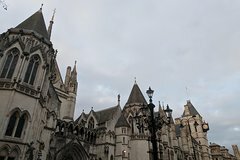 The Ultimate - Full Day London Classic Tour! Our Full Day London Tour is a Big Day Experience!Your Private Driver Guide will provide you with a Panoramic Sightseeing Tour with Stop Presentations at ALL of London’s Iconic Landmarks plus many hidden and secret ones - plus any bespoke requests you have for touring.You will find your accredited and experienced London Tour Guide engaginging and affable - ready to tailor your London experience based upon your expectations.Your door to door transportation will be in a Traditional London Black Cab. The Crown Tour is a full day experience that explores those iconic landmarks which relate to the British monarchy.Your Private Driver Guide will be a keen royalist historian enthused with providing you with a panoramic sightseeing route with presentation stops in London following in the footprints of sovereigns past - before heading out to Windsor-on-Thames in Royal Berkshire.We shall get up close and personal with 6 royal palaces in London - including Her Majesty the Queen’s principle residence at the majestic Buckingham Palace - plus Clarence House the residence of her son and heir Prince Charles.This special day will continue with a trip out to Windsor - where Harry recently married Meghan in the magnificent St. George’s Chapel (available daily except Sunday).At Windsor we provide a walking tour plus a visit to Runnymede- setting for the Magna Carta.Our Concierge Team can provide skip the line tickets for Windsor Castle as an optional extra. 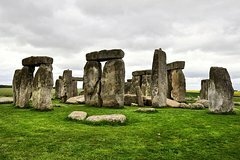 Explore the 5,000 year old mystery surrounding Stonehenge and the royal history at Windsor Castle, with this private 9 hour tour. 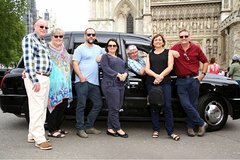 A comfortable air-conditioned vehicle will be provided for your self guided tour, departing from any central London accommodation. Admission to attractions are included, but not food and drinks. 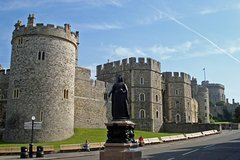 Explore the Royal History at Windsor Castle in a private comfortable air-conditioned vehicle at your pace in the afternoon from any Central London accommodation to Windsor Castle. 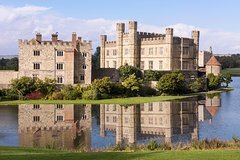 This half-day trip includes tickets and audio guide for Windsor Castle. Step away from the commercial hype of London as I welcome you to the alternative parts London nightlife. Expect a tailor-made LGBTQ+ evening filled with either must-see live acts, racy cabaret, vogue balls, rich discussions, art exhibitions and hidden gems unknown to most locals. 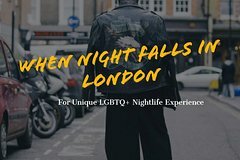 Learn about London's LGBTQ+ history & community as we immerse ourselves into the night . We will be chatting, walking and mixing with other revelers in a vibrant events & underground after parties. All are welcome! Anyone with an open mind and an appetite for a truly unforgettable night should join . Come see how the pride colours flourish in our diverse city. 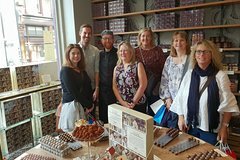 Paul Mansfield the tour guide is a former Cocoa and coffee trader with over 20 years experience as a London tour guide and has visited Colombia South America regularly where Cocoa and coffee grow and Paul's wife is from. On this tour we travel through the 2000 years of London's history from the days of the Roman invasion to present day. 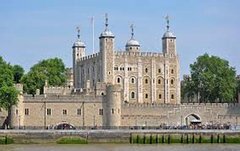 On this customised walking tour we see many of the iconic buildings and places which have played a major role in shaping this part of London - The Tower of London, St Paul's Cathedral, The Monument to the Great Fire and hear how the financial centre has grown over the past 20 years. We also visit some places where most tours do not go. Private rooms and cellars and ancient pubs tucked away beneath the towering skyscrapers.There are many opportunities to pause to take photos and on certain days there will be guest speakers who will relate more stories of the history of these places. Lunch can taken in a typical London coffee house or cafe or in a local pub. Winter Thames Cruise & Buffet. 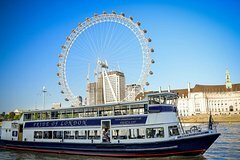 An amazing cruise departing from either Embankment or Westminster area for a lifetime trip across the river Thames Cruise. You will then be travelling to a prestine international halal Nawab's cuisine for a full evening buffet. You will be assisted with options with firtfur destinations and detail when required. Able to translate and communicate written form in any language.We are happy to assist you on your journey and look forward to your pleasant tour with us. 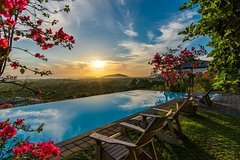 At Gaia Travel, our Bali tour is a combination of pure luxury with soulful adventure; providing the same experiences and sightseeing as you would get backpacking, whilst maintaining comfort and luxury in beautiful villas/resorts.We have personally hand-picked all of the accommodation and gained trusted partners in our villas/resorts.What's included in the tour?- Luxury accommodation- All transfers- Breakfast- A personalised booklet, that will guide your every stepThe main itinerary includes: Seminyak, Uluwatu, Ubud and Canggu. You can also chose to build on your adventure with more exciting places that include: Nusa Lemongan + Nusa Penida, North Bali and Gili T.
It's like knowing the city from the hand of a friend who lives in it and who knows you very well. This is how Planyts works. We get in touch with you to know you better, to know that you are interested, how you travel, with whom, what budget you have ... and we make the trip that adapts to you without having to invest your time in endless searches on the Internet, nor do you have to shares expensive and heavy guides. We send you a guide to your email so you can always take it with you and know how to go from one place to another without losing any time. Do not hesitate to contact Planyts to have more information. Experience two (2) or seven (7) amazing nights with a London Nightlife Ticket. Sound simple? It is. 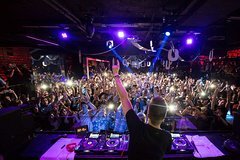 Enjoy free access to 19 different nightclubs and bars as well as other perks and experiences. 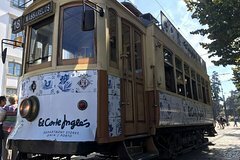 Get your very own ticket now and explore this amazing city, the right way. Here is an trip we made specially for those that wish to get the most out of Europe during Christmas and New Year celebrations. Visiting great European destinations including Paris, Milan, Venice, Salzburg, Prague, Berlin, Amsterdam and Bruges. Exciting inclusions such as Tropical Islands - the biggest indoor waterpark in the world, entrance to Hohensalzburg castle, a typical Czech dinner and more. Celebrate Christmas in Paris, including a dinner in the hotel and receive the New year with fireworks and live music at the biggest street party in Europe: the Silvester. 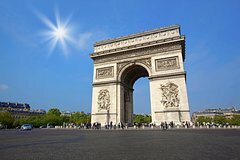 This tour will include all the main highlights expected during a Winter European holiday: Christmas Markets in Paris and Prague, ice-skating in Amsterdam, enjoy views of the snowy Alps from Salzburg Castle while eating a Pretzel, enjoy Prosecco and cannoli in Venice and much more! England is an expert in elegance.The palaces have rooms larger than an entire house. The grand gardens have plants rarer than a blue moon. And the royal dinner menus have more courses than you would usually eat in a week. So, on this tour, we let you discover exquisite England. 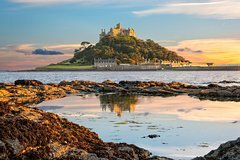 You survey the gorgeous grounds surrounding ancient castles, climb the internal heights of a spectacular cathedral, and look across to France from the White Cliffs of Dover. 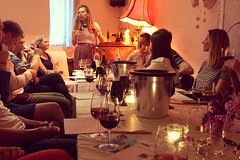 What’s more, ’foodies’ can sample local English wines and fresh oysters, whilst history lovers can learn tales of treacherous kings and queens. 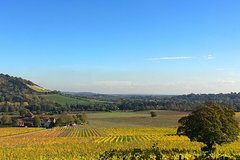 So, join this leisurely tour and discover the luxurious and beautiful attractions of South East England. Cruise past London’s iconic sights and views with a glass of the best beer in town in your hand: Your ticket to this floating festival of deliciousness includes your first 5 drinks onboard in a souvenir tasting glass thats yours to take home when you disembark. There are over 100 craft breweries in London and we'll be taking our pick from the best each cruise pouring draft craft from 6 rotating lines onboard across different styles of beer including Pale & IPA, Lager, Sour, Stout and more. Got some members of your group who are less keen on beer? Don't worry - We've got Nightingale's cider onboard as well as Longflint craft cocktails, wine (and soft drinks too of course). Please check our social media or contact us if you'd like more details of the breweries onboard and the beers we'll be pouring on each cruise as well as food we'll be serving but what you need to know for now is:London Craft Beer Cruise - Great beer from London’s best breweries. On a boat. Our guides are experts in London's history and love sharing their experiences and knowledge with people. Let you be guided through the city by a proper Londoner and explore its most unknown places and stories. Choose a place, a person of your interest or an era and we can tailor a day-out just for you. 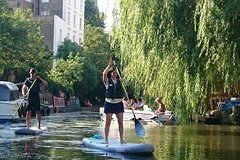 By booking your day out with Islington Boat Club you are supporting a local charity that provides services and activities for the local community. Explore the famous attractions and treasures in London. 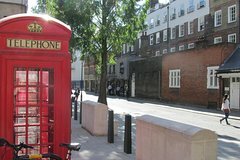 At 9am, you will be picked-up from your hotel and the tour will start with a visit to Madam Tussauds (entry included). Stops along the way will also include the Houses of Parliament, Big Ben and Westminster Abbey, an architectural masterpiece and the setting for every Coronation since 1066. 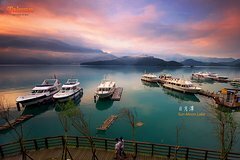 This full-day tour may accommodate up to 6 people. Discover Paris at your leisure with a self-guided, 14-hour day trip that covers the city's most beloved landmarks. A guide will be on board of the train to give you any assistance or tips for your day in Paris.Train tickets and public transportation information helps to ensure you get the most of this visually striking journey. The trip also includes a ticket for 1-hour sightseeing cruise by Bateaux Parisien. Take an Coca-Cola London Eye River Cruise and see London from a different perspective. 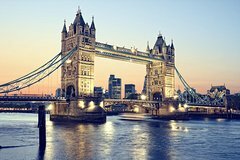 Highlights of the 40-minute circular cruise include Big Ben and the Houses of Parliament, St. Paul's Cathedral, Tower Bridge, the Tower of London, HMS Belfast, Shakespeare's Globe, Tate Modern and the Millennium Bridge. 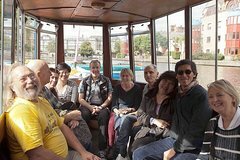 Cruise down the River Thames and learn about London's top landmarks with the London Eye River Cruise expert guides. 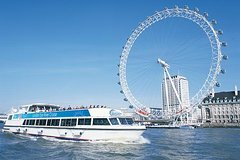 Discover London’s main riverside attractions by boat with a 40-minute circular Thames River cruise. 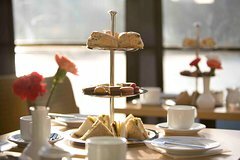 Take afternoon tea on the Thames during a 1.5-hour river sightseeing cruise in London. While enjoying the oh-so-British tradition of tea with cakes and sandwiches, cruise through the heart of central London on a round-trip route from Tower Pier to Westminster to see several of the city’s best-known sights. Gaze out at the London Eye, Big Ben, the Houses of Parliament and more! Enjoy a different view with City Cruises! 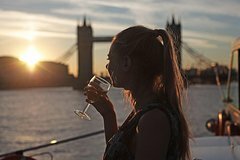 Wind up your day in the best possible way on a sunset River Thames boat cruise! Lasting two hours, this London sightseeing cruise passes all the top London attractions that frame the Thames between Westminster and Greenwich. As the sun sets on this bustling city, relax with sparkling wine and canapés, and catch must-see sights like the Shard, Big Ben and the London Eye. 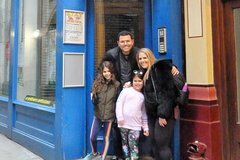 This private 2.5-hour outdoor walking tour is especially designed for families with children and will allow you to see some of the most famous attractions in London. 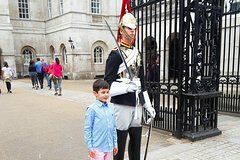 With our kid-friendly guide you will discover the beauty of London as you come face to face with such iconic places as Westminster Abbey, Buckingham Palace (with the Changing of the Guard), The Houses of Parliament, Downing Street and much more besides! As well as walking, you will also experience real London life by using the Tube, the world's oldest underground public transport system.Note: Since you will use public transport make sure you have your Oyster card or Travel card with you! 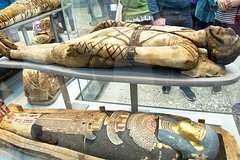 The British Museum is a must see in London and this 2.5-hour private family-friendly tour is just what you are looking for!On a journey of discovery led by our expert guide, you will learn about the history of Ancient Egypt through the largest collection of Egyptian objects outside Egypt, including Ginger the Mummy and the Rosetta Stone.Although the tour focuses predominantly on the Egyptian collection, you and your family will also have the opportunity to see more of the museum's highlights, including the ancient sculptures of the Athens Parthenon, the Sutton Hoo Treasure, the Vidandola Tablets, the Lewis Chessmen and many more besides! The London National Gallery is one of the most visited art galleries in the world and during this child-oriented tour you will have the chance to admire marvellous paintings with your kids in a fun and enetrtaining way.In this 2.5-hour private tour you will see masterpieces by Botticelli, Van Gogh, Picasso, Michelangelo, Klimt, Caravaggio and many more depending on your wishes. The Tower of London and Tower Bridge are two of the highest rated attractions in London, loved by adults and kids of all ages, so no trip to London would be complete without a visit to these two famous landmarks!Our tour for families with children is guided by a professional kid-friendly guide who will lead you on an entertaining and enjoyable discovery of the Tower of London and Tower Bridge.With your Blue Badge Guide you will skip-the- ticket line with your prebooked tickets and start your visit straight away, and you certainly won't have time to get bored! (Please bear in mind, however, that queues for security checks cannot be avoided). Immerse yourself in one of the greatest stories of the 20th Century as you step back in time, into a heart-racing immersive adaptation of F Scott Fitzgerald’s seminal jazz-age novel which puts you in the centre of the action, inside a beautiful, heritage listed, 1920's Art Deco ballroom. It's time to slip on your dancing shoes and watch the story unfold around you in this unique cabaret performance. The cocktails are flowing, the music is playing, the party is in full swing and there’s the chance of more than a little scandal. Immerse yourself in one of the greatest stories of the 20th Century. One of the most unique things to do in London at night. 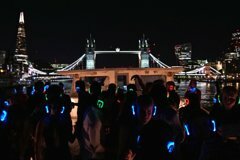 Cruise down the River Thames taking in the jaw dropping views of London's finest sights whilst partying the night away at our Silent Disco! Dance with your headphones on, choose your DJ, and singalong with your friends. It's an unforgettable experience in London. Jeff Wayne’s The War of the Worlds: The Immersive Experience is a revolutionary new form of entertainment where groups will try to survive a Martian invasion set in Victorian London.Running across 22,000 square feet in the heart of the capital, audiences are taken to another world through immersive theatre, virtual reality, holograms and other state-of-the-art technology. 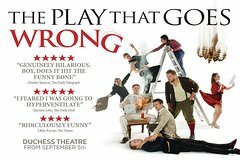 The hilarious and much-loved comedy The Play that Goes Wrong is showing at the Duchess Theatre. 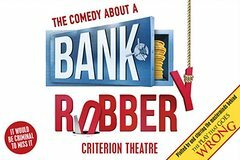 The hit comedy tracks the shenanigans of the Cornley Polytechnic Drama Society, and the series of blunders that arise as the accident-prone drama group prepare to put on a 1920s murder mystery. 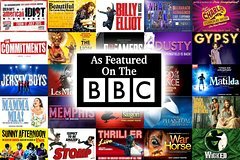 Written by Jonathan Burke, Henry Lewis and Henry Shields, who also star in the show, The Play that Goes Wrong is laugh out loud, must see, family entertainment. One enormous diamond, six incompetent crooks and a snoozing security guard...What could possibly go right? 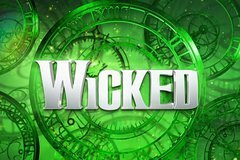 Venue: Apollo Victoria Theatre, 17 Wilton Road, London, SW1V1LLRunning time: 2 hours 45 minutesPerformance dates: Monday - Saturday at 7:30pmPlease note: Wicked is suitable for a general audience. As a guide to parents and guardians, it is recommended for ages 7+. All persons entering the theatre, regardless of age, must have a ticket. Children under 3 years of age will not be admitted. Anyone between the ages of 3 and 7 is at the parents’ discretion and if the child becomes restless it is the parents’ responsibility to take them out of the auditorium. Mamma Mia! at the Novello TheatreJoin us at Mamma Mia! and enjoy the ultimate feel-good factor at the world’s sunniest and most exhilarating smash-hit musical! 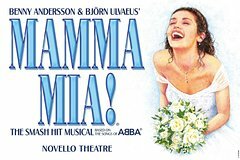 Set on a Greek island paradise, a story of love, friendship and identity is cleverly told through the timeless songs of ABBA.Sophie’s quest to discover the father she’s never known brings her mother face to face with three men from her distant romantic past on the eve of a wedding they’ll never forget!The London production of Mamma Mia! 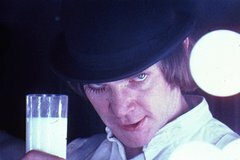 has been seen by nearly 8 million people, played over 7,500 performances and has broken box office records in all three of its London homes. London has one of the most exciting and globally diverse street food scenes in the world, so what better way to experience this than by eating your way around the city with an Epicure Master! Epicure Masters are high profile experts who provide their specific technical experience and operational support in the various sectors where Club Epicure operates. 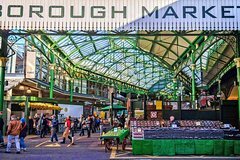 One of our Epicure Master will allow you to discover the secret of Borough Market, the oldest food market in the city, trying delicious samples and buying locally produced goods to take home with you before indulging in some incredible street food! Borough Market is rich with history, but it remains as relevant now as it has ever been. As London’s oldest food market, it has been serving the people of Southwark for 1,000 years, and that extraordinary heritage is an important part of its appeal. Over the years, Nordic cuisine, has become increasingly integrated into London's culinary culture. Highlighting concepts of sustainability, Nordic restaurants serve the freshest local organic ingredients and showcase innovative variations in a welcoming Nordic atmosphere. 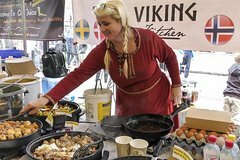 This tour takes you on a delicious culinary adventure exploring the best of what the Scandinavians have brought to London! 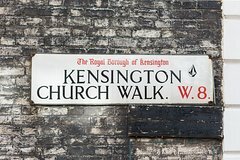 Join this private and personalized walk and discover London´s East End, an open-air gallery bursting with creativity.Learn the history of Brick Lane and hear tales of gruesome serial killers, the immigrants that made Spitalfields such an eclectic place and how gentrification changed it forever.We will admire Banksy´s art and discover the works of local and international artists whilst hearing the stories that make these skillfully painted walls so special.This is a not to be missed experience for those who wish to spend a couple of hours wandering around a thriving, diverse and offbeat area of this fascinating metropolis. Join a pilot on a unique flight and share the cost with them, a nice way to discover the city skyline aboard a private plane.Your pilot will happily share their passion for flying and take you on a memorable trip around London's area, providing stunning views of the capital's suburbs.Please note this aircraft is not allowed to fly over London and the flight schedule is subject to changes depending on the pilot’s availability.Wingly is the leading Flight Sharing platform in Europe. This is not a commercial flight but a private flight operated under the European cost sharing rule (EASA). We provide an insurance by Allianz on each flight.Be aware that cost-shared flights don’t have the same safety rules as commercial air transport flights. The risks involved can be higher, as private pilots are not subject to the same level of continuous checks and strict oversight rules from the authority. They still apply safety checks for every flight and are responsible for passengers safety. 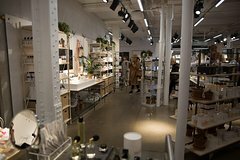 If you love shopping this is the tour for you! 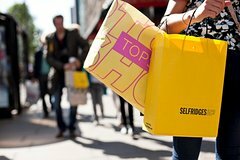 Whether you are into luxury boutiques, designer brands, unique fashion, interior design or vintage, this tour gives you a VIP shopping experience of London in a very personalised and unique way. Did you ever go to shopping with an expert Stylist? Someone who can study how to improve your image, building for you a renovated style with which you can better express yourself? This is the time to do it! And London is one of the most exciting places in the world to go for shopping—if you know where to go. 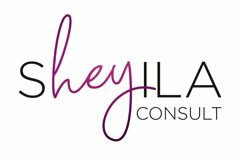 I'm a professional Fashion Coach and I'll pack the ideal shopping experience for you. We'll follow a map that I personally designed, with my favorite stores and renowned local stylists around the city. I have close personal relationships with local designers and retailers, so you will get a full taste of the city's fashion, and head back home with some true Londoner's outfits. We will fit the experience on your budget - you don't need to be a millionaire, you just need to know where to shop! 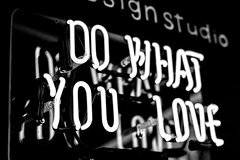 I will work with you to dress you up boosting your confidence and I will help you discover what colors, shapes and styles work best for you, to help you become who you really are or want to be! 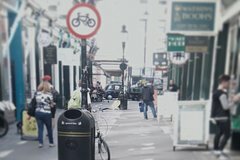 Join me for a personalized tour of two unique shopping areas of London: Covent Garden and Soho. Let me show you my favorite boutiques, walk through hidden passages and discover fashion spots that you'll absolutely love. 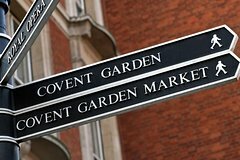 Soak up the vibrant atmosphere in Covent Garden, enjoy performances from entertainers and find the perfect blend of independent design, international brands, and beautifully crafted goods. In Soho, you'll discover where to buy top-notch vintage items, retro records and trendy, cutting-edge brands. We'll enjoy a walk on beautiful Regent Street, admire famous landmarks and discover its hidden secrets and one of my absolute favorite department stores in the city. This is a personalized experience - the route will be designed according to your interests, budget and schedule. This is the perfect off-the-beaten-path walk for travellers looking for something unique. 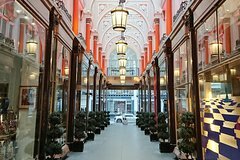 Join me for this private tour and explore the regal streets of Mayfair and St. James´s, and their long-lasting relationship with art, fashion, and design. You will discover amazing British design, special items, historic hidden gems and beautiful side streets.I will give you insights on British style, designer names and fabulous fashion collaborations while we visit a cutting-edge concept store and charming, one-of-a-kind shops that hold Royal Warrants that go back 300 years. 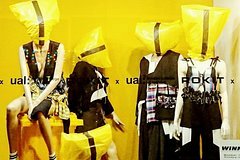 By the end of this tour, you will understand the history of items that still influence fashion as well as discover why London is so iconic in the design world. This is a personalized experience - the route will be designed according to your interests, budget and schedule. Go on a unique shopping experience and explore a different side of London's West End. Open yourself to the possibility of shopping for vegan and organic clothes, accessories and sustainable products. Discover how London is taking the eco-friendly route on this private shopping tour and learn about sustainable practices in design.We will explore the Covent Garden and Soho´s charming hidden gems, passages and boutiques.This is a personalized experience - the route will be designed according to your interests, budget and schedule. Looking for a personal shopper? 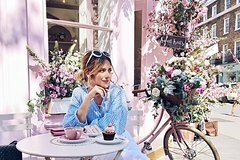 Not bothered or overwhelmed with shopping, Looking for a second opinion and where to go to source for the fashionable outfit to flatter your body shape or even a helping hand and someone to take you around London busy shopping scenes. Contact us to book with us. 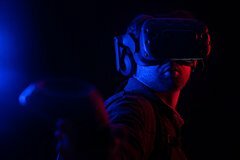 Shoot Zombies, Slice Fruit in VR or Defend A Castle with your Longbow! Not a gamer? Create masterpieces in Tilt Brush or Conquer Everest. You can switch between games during your timeslot as you wish! Discover London’s highlights on this action-packed half-day tour. Explore the city by vintage double-decker bus and see famous sights such as Westminster Abbey and the Tower of London. 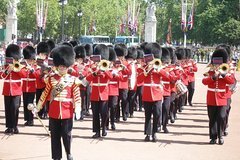 Cruise down the Thames River on a sightseeing cruise to Westminster; watch the Changing of the Guard ceremony at Buckingham Palace. Alternatively, upgrade to round off the day with fish and chips at a central London pub. 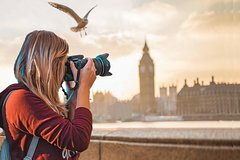 Practice your photography skills and learn to capture stunning photos while exploring the most iconic places in the heart of London.Guided by a professional photographer this immensely enjoyable and informative 3-hour tour will help you take control over your camera while exploring various landmarks and hidden scenes of the city. 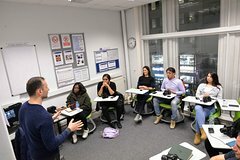 Along the way, our tutor will give expert advice on using your camera, share creative photography techniques, stopping at various points of interest including London Eye, St Paul’s Cathedral and Tower Bridge to shoot some stunning landscapes and portraits. We will make sure you will have a truly Culturally Enriching Experience! 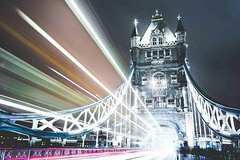 You may opt for 4, 6 or 8 hours of undivided attention with our guide in London to see the places which interests you most. 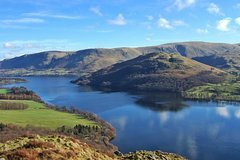 After booking you will be offered via email, a selection of the most popular tour suggestions which can be tailored according to your own preferences. We will book a guide to meet you at your central London preferred location and time. As one of London's wealthiest areas, Kensington is home to some of the capital's most famous free museums, two Royal Parks and a huge range of fabulous shops. 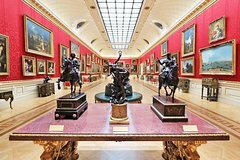 Join this tour to explore Londons most beautiful open spaces alongside some more upmarket attractions. 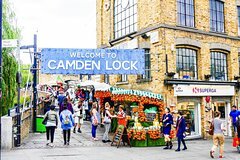 With its alternative vibe, Camden is packed with famous markets, live music venues and street performers. Away from the bustle, there’s also a picture-pretty canal and some gorgeous green spaces to explore. With this tour we let you indulge in all of this while exploring Camden like a true Londoner! Notting Hill is one of London's most desirable and Instagrammable areas, with iconic pastel-coloured houses and a thriving market. On this tour we take you on an adventure in this iconic (Thank to the infamous Julia Roberts and Hugh Grant movie!) area exploring everything from world-famous events and restaurants to cutting-edge theatres. Do you love to travel and take Instagram-worthy pictures in amazing locations? Then this tour was made for you! Join this picturesque and camera friendly exploration of London guided by one of our amazing Instagram influencers who will take you to the best spots to take those perfect Instagram pictures for your feed. Our 90 minute tour starts at The Pirate's Castle - a real castle incongruously located just metres from busy, bustling Camden market. Once getting everyone on board we'll head west, along the historic Regent's Canal, past the Feng Shang Princess floating restaurant and through the zoo, if we're lucky getting sight of some of the local residents. We'll double back at the far end of the zoo and head back to base for sharing photos and regaining our land legs. Steeped in history, Windsor Castle perches proudly on a lush wooded hill overlooking the Thames. Dating back to Norman times, with sweeping landscaped gardens and turreted Round Tower. Enjoy a bird’s eye view over the UK’s capital city on this 1.5-hour O2 climb in London. 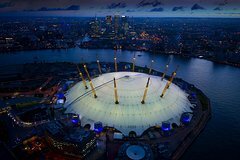 With your harness and safety line attached, follow a guide on the 170-foot (52-meter) climb to the top of The O2 — the world’s most popular live music venues. From your vantage point on the roof of The O2, admire uninterrupted views of London landmarks like Greenwich Park, Canary Wharf, and the Queen Elizabeth Olympic Park. Capture the views on camera, then return in safety to ground level. 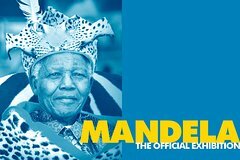 Nelson Mandela: The Official Exhibition is the story of one such life. For the first time ever, you will follow closely the life journey of this extraordinary man. Travel back to where it all began, in the rural South African village of Mevezo, where he was born. You will walk through the political fires and prison experiences that forged his unshakable commitment to making a better world. Experience a journey brought to life through state-of-the-art immersive and interactive galleries, previously unseen film, photos and personal effects. Together they uncover a story you thought you knew but will witness close-up for the first time.In his lifelong fight for freedom, justice, equality and education for all the world’s citizens, Nelson Mandela asked us all to ensure that the light of his legacy remain undimmed. The exhibition invites you to experience this life lived beyond borders and to continue to promote the values that he embodied during his remarkable lifetime. Embark on a magical journey to Far Far Away with this admission ticket to Shrek’s Adventure! London, which includes a magical 4D bus ride. 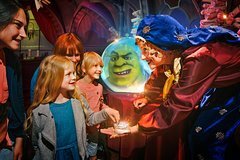 Located on the South Bank near the London Eye and other top attractions, Shrek’s Adventure! London provides family-friendly entertainment that stars characters from "Shrek" and other popular DreamWorks movies. 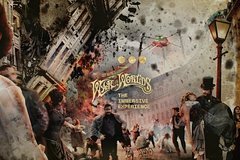 The unforgettable experience features a walk and ride tour with live interactive shows and a fairy tale theme. Meet popular characters such as Shrek, Puss in Boots, Fiona, Donkey and more, and participate in the action too. 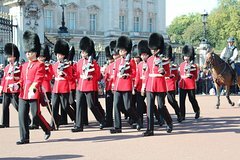 The Changing of the Guard is a tradition that is centuries old, the Guard Change is a ceremony which is led by real, front-line soldiers from The British Army. You will stroll past St James’s Palace; the most senior royal palace in the UK. March you alongside the soldiers en-route to Buckingham Palace before securing the best views in the house. The Changing of the Guard does not take place outside Buckingham Palace, (which is usually Tuesday, Thursday and Saturday) visitors will be able to enjoy spectating the ceremony at Horse Guards Parade situated just off Whitehall in Central London.Enjoy a meal either lunch or dinner at the London Hard Rock Cafe with VIP Skip the line to the next available table. The thick-walled castles inspired Shakespeare's battle-torn tales. The narrow cobbled lanes kindled his love stories’ twists and turns. And the deep, green valleys encouraged him to write about monsters, myths, and magic.On this adventure, we take you through the landscapes that sparked his imagination and his inspirational hometown of Stratford-upon-Avon.But this tour isn’t just about the famous playwright.You find yourself a little tipsy as you sample a local beer in a small brewery. You feel princely as you walk through the ancient hallways of Blenheim Palace. 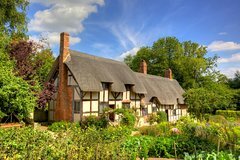 And you become snap-happy as you wander over the trickling rivers and peaceful hills of the Cotswolds.Learn about Shakespeare’s inspirations and discover England’s most famous landmarks on this three-day small group tour from London. Save Money. One low price gets you Free entry to over 80 Attractions, Tours and Museums. Flexible. Choose from a 1, 2, 3, 6, or 10 Day Pass. You have up to 12 months to activate it. Save Time. Skip the line with FAST TRACK admission to many of the busiest attractions. © 2009-2019 - All rights reserved. Except where indicated all content is copyrighted by TourbyTransit and One Search Publishing. Photographs with attribution and embedded videos are copyrighted or licensed by their respective owners. This website uses the Flickr API but is not endorsed or certified by SmugMug, Inc. TourbyTransit is a One Search Publishing company.